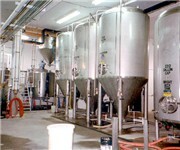 The regional brewery typically has an annual beer production of between 15,000 and 2,000,000 barrels. An independent regional brewery has either an all malt flagship or has at least 50% of it's volume in either all malt beers or in beers which use adjuncts to enhance rather than lighten flavor. Alaskan Brewing Company, Juneau AK - Alaskan Brewing Company, a regional craft brewery located in Juneau, Alaska, was founded in 1986. The company's beers have won numerous awards at regional, national, and international beer competitions. Alaskan Brewing currently produces five year round beers, four limited release seasonal ales and several specialty beers with limited distribution each year. The beers are currently available in ten western states: Alaska, Arizona, California, Colorado, Idaho, Montana, Nevada, Oregon, Washington and Wyoming. Alaskan Brewing Company is the 11th largest craft brewery by sales volume in the United States. The brewery was founded in Juneau, Alaska by Marcy and Geoff Larson, who are still in charge of the company. Anderson Valley Brewing Company - Anderson Valley Brewing Company, founded in 1987, is a regional brewery in Boonville, Mendocino County, California. Its brews include Boont Amber Ale, Hop Ottin' India Pale Ale, and Barney Flats Oatmeal Stout. They often use words and phrases from the local Boontling lingo on their bottles and packaging, as well as in some of their beer names (e.g. Hop Ottin'). Their products can be recognized by their distinctive packaging featuring the company mascot, the "Boonville beer". This fictional Anderson Valley native is part bear, part deer and looks like a bear with antlers. August Schell Brewing Company - The August Schell Brewing Company is a brewing company in New Ulm, Minnesota. It was founded by German immigrants August Schell and Jacob Bernhardt in 1860 and passed into the possession of the Schell family in 1866. It is the second oldest family-owned brewery in America and became the oldest and largest brewery in Minnesota when the company bought the Grain Belt rights in 2002. Jacob Leinenkugel Brewing Company - The Jacob Leinenkugel Brewing Company is a regional American beermaker based in Chippewa Falls, Wisconsin, United States. It was founded in that city in 1867 by Jacob Leinenkugel and John Miller. Miller (no relation to Miller Brewing) sold his stake in the company in 1884. Its products are colloquially known as Leinie's. Leinenkugel is mainly distributed throughout the Midwestern United States. The original brewery in Chippewa Falls, Wisconsin. Leinenkugel has two breweries: the original, located in Chippewa Falls, and the 10th Street Brewery (formally the Val Blatz 10th Street Brewery) in Milwaukee, Wisconsin. 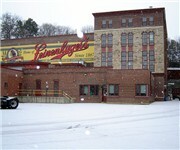 Approximately 95% of Leinenkugel's sales, by volume, is brewed in the Chippewa Falls location. Boulder Beer Company - The Boulder Beer Company was Colorado's first microbrew and the forty-third licensed brewery in the United States. It was founded on September 25, 1979 by David Hummer, Alvin Nelson, and Randolf Ware. Ware and Hummer were physics professors at the University of Colorado at Boulder and home brewers. When the laws surrounding home brewing were relaxed, the brewery originally started on a farm in a "goatshack." The Boulder Beer Company was originally known as the Boulder Brewing Company and went public in 1980, raising over US$1.7 million. A decade later, in 1990, the company changed its name to Boulder Beer company when Gina Day took the company private. In 1993 the company again renamed itself as the "Rockies Brewing Company." In 2002, the Rockies Brewing Company entered into a strategic agreement with Rock Bottom Breweries allowing Rock Bottom to brew and sell their Singletrack Ale. Boulevard Brewing Company, Kansas City MO - Boulevard Brewing Company is an independent regional craft brewery located in Kansas City, Missouri. The Brewers Association currently ranks Boulevard as the 7th largest craft brewery, and the 16th largest active brewery in the United States. The sale of Anheuser-Busch to InBev made Boulevard the largest independent brewery in the state of Missouri. Boulevard's beers are available in thirteen Midwest and Great Plains states. Brooklyn Brewery - Originally all their beer was brewed by contract by Matt Brewing Company, and the pair started their own distribution company and personally transported and marketed their beer to bars and retailers around New York City. Later, they acquired a former matzo ball factory in Williamsburg, Brooklyn, and converted it into a functional brewery. Although the brewery is looking to expand its brewing capacity in the City, at present most of the production, including all Brooklyn Lager and all bottled products, are brewed by contract in the upstate New York city of Utica, due to the limited ability to meet demand at the Williamsburg brewery, its lack of a bottling line, and the cost benefits of contract brewing. At their Williamsburg location, they offer guided tours on Saturdays starting at noon and beer tastings on Friday nights from 6pm to 11pm. Deschutes Brewery, Bend OR - Deschutes is a brewery founded in 1988 in Bend, Oregon, USA. Deschutes Brewery produces a range of beers which it distributes in thirteen western states. The company produces a range of beers including Black Butte Porter, Mirror Pond Pale Ale, Obsidian Stout, Bachelor ESB, The Abyss, and Cascade Ale. Obsidian Stout is ranked #89 on BeerAdvocate's Top 100 American Beers list. Iron City Brewing Company, Pittsburgh PA - Iron City Brewing Company's most popular products are: Iron City Beer (a macro-style pilsner), I.C Light, Augustiner and Augustiner Dark. PBC also produces: American, American Light, American Ice, Old German, Brigade and Brigade Light. Other brands include Drummond Bros., Wiedemann and Drewrys, which were acquired from the Evansville Brewing Company (Evansville, Indiana) in the late 1990s and today are largely shipped to midwestern markets such as Louisville, KY, Cincinnati, OH and southern Indiana. Big Sky Brewing Company - Big Sky Brewing Company is a brewery located in Missoula, Montana. It brews six different styles of beer: Moose Drool (a brown ale), Scape Goat (Pale Ale), Big Sky (India Pale ale), Powder Hound (Winter Ale), Summer Honey (Seasonal Ale), and Trout Slayer Ale. Moose Drool is a brown ale brewed with whole black, chocolate, caramel, pale malts and Willamette, Liberty, and Golding hops. Moose Drool is the most popular craft beer in Montana and is sold throughout 14 western and midwestern states. It has a dark profile, a sweet entrance to the palate, and a slightly bitter coffee finish. Kona Brewing Company - Kona Brewing Company introduced Pacific Golden Ale (now called Big Wave Golden Ale) and Fire Rock Pale Ale to Hawaii in bottles and kegs on February 14, 1995. Longboard Island Lager was added three years later. Approximately 10 other styles of beer are brewed on a regular basis and served at Kona Brewing Company’s pubs with a select few being served at some finer restaurants and markets. These range in color from very blonde to black; in flavor from tangy to hoppy to roasty... and everything in between. Today the three flagship beers are widely distributed throughout Hawaii, making Kona the top selling craft beer in the islands. Long Trail Brewing Company - Long Trail makes a number of different styles of beer, mostly English-style top-fermented ales, but its flagship beer is Long Trail Ale, a Düsseldorf-style altbier. It also participates in the tradition of brewing a "Sticke" Alt (from a dialect German word for secret) known as Long Trail Double Bag, though unlike the German originators of the style, Long Trail makes Double Bag available year-round. During the 1990s it also brewed a Kölsch-style ale as a spring seasonal. In the summer of 2006 Long Trail added a hefeweizen to its list of brews. In the Fall of 2007, they changed the Blackbeary Wheat offering to full-year availability. It was previously Long Trail's summer seasonal brew. Long Trail distributes its product throughout New England, New York, New Jersey and Pennsylvania. 40% of its beer is consumed in Vermont. North Coast Brewing Company - The North Coast Brewing Company is a microbrewery and pub located in Fort Bragg, California. Their best known beers are Red Seal Ale, Scrimshaw Pilsner, PranQster (Belgian-style Golden Ale), and Old Rasputin (Russian-style Imperial Stout). Several of their beers have won awards and they usually score very well in beer tastings. 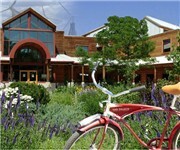 Odell Brewing Company - Odell Brewing was founded in 1989 by Doug Odell, his wife Wynne and his sister Corkie. The brewery is a maker of traditional English style ales and creative specialty ales, and produced approximately 40,000 barrels in 2007. Odell is a regional brewery with beer found in the Arizona, Colorado, Kansas, Missouri, Nebraska, New Mexico, Wyoming and South Dakota. New Belgium Brewing Company, Fort Collins CO - New Belgium Brewing Company is a regional brewery located in Fort Collins, Colorado. In 2006, it produced approximately 436,000 barrels of its various labels. Fat Tire, an amber ale, is the company's flagship beer. Before 2006, New Belgium distributed in only 15 states (Washington, Oregon, Idaho, Montana, Nevada, California, Arizona, New Mexico, Wyoming, Nebraska, Kansas, Texas, Arkansas, Missouri, Colorado). In spring 2006, the brewery began to distribute some of their beers in other markets. Otter Creek Brewing Co - Otter Creek Brewing of Middlebury, Vermont is a regional-sized brewer craft brewing a wide range of ales in small batches. They brew Otter Creek Craft Beers and Wolaver's certified organic ales. Otter Creek ales enjoy a complexity of flavor, natural carbonation, and a creamy texture that is favored by beer enthusiasts at pubs and restaurants throughout New England. Pyramid Breweries, Seattle WA - Pyramid Breweries, headquartered in Seattle, Washington, is a brewer of craft beers, ales, and lagers under the Pyramid label. It has operations in Sacramento, Berkeley, and Walnut Creek, California, in addition to Seattle. Pyramid used to feature one of the single largest selections of beer types among a single brewer. They made beers covering all the major types including, ales, lager, weizens, ciders, porters, and IPAs. Nowadays, the selection has been pruned to six styles, three of them weizens (wheat ales). Redhook Ale Brewery - The Redhook Ale Brewery, headquartered in Seattle, Washington, is a brewer of craft beers, with operations in Woodinville, Washington and Portsmouth, New Hampshire. It was founded in Seattle in 1981 by Paul Shipman and Gordon Bowker. Their flagship beer is the ESB (5.8% ABV). Redhook currently produces nine styles of beer, marketed under distinct brand names. Redhook's flagship brand is Redhook ESB and its other principal products include Long Hammer IPA, Slim Chance Light Ale, Blackhook Porter, and its seasonal offerings Winterhook, Sunrye, Late Harvest Autumn, and Copperhook Ales. Redhook also produces and sells Widmer Hefeweizen in the midwest and eastern U.S. under a 2003 licensing agreement with Widmer Brothers Brewing Company. Redhook distributes its products through a network of wholesale distributors, Craft Brands Alliance LLC, and a distribution alliance with Anheuser-Busch, Incorporated. Anheuser-Busch owns 25% of the business, as well as Widmer Brothers. Shipyard Brewing Co - Shipyard Brewing Company is an American brewery founded in 1994 by Alan Pugsley in Portland, Maine. Shipyard was first brewed in 1992 by Pugsley and Fred Forsley. Initially, the beer was brewed at the Kennebunkport Brewing Company in Kennebunk, Maine, one of the state's original breweries. 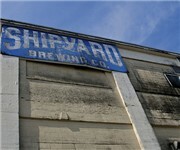 Within two years, demand for Shipyard's product outpaced the capacity of the small facility at Kennebunk, and in 1994, Forsley and Pugsley opened the Shipyard Brewing Company in Portland. Shipyard operates several restaurants and contract breweries, and is active in many community projects around New England. Shipyard is partners with the Sea Dog Brewing Company and Casco Bay Brewing Company. Shipyard also produces beer under contract for Gritty McDuff's Brewing Company. Victory Brewing Company - Victory Brewing Company (Victory) is a brewery founded in 1996 in Downingtown, Pennsylvania, USA. The main brands are HopDevil, Prima Pils and Storm King, which are distributed in 23 states. The brewery uses an automated, energy recovery, 50 BBL system made by Rolec in OberBayern, Germany. Victory also brews using traditional methods where appropriate, such as using the energy intensive decoction process for production of certain German style lager biers. Victory use whole hops. Bell's Brewery - Bell's Brewery, Inc. is a brewery located in Kalamazoo, Michigan and currently brewed in Comstock, Michigan. Bell's Brewery produces the Bell's brand of beers. The brewery today consists of two separate brewing facilities, the original Kalamazoo Avenue facility, and the state-of-the-art Krum Avenue Plant, in Comstock Township, Michigan, which opened in 2002. As of 2005, Kalamazoo Brewing Company changed their name to Bell's Brewery, Inc., reflecting the name by which most people refer to the brewery. While the Pale Ale, Porter, Kalamazoo Stout, Third Coast Beer, Amber Ale and Two Hearted Ale are available year round, the majority of Bell's beers are seasonal. Bell's beer is currently distributed through a thirteen state region.